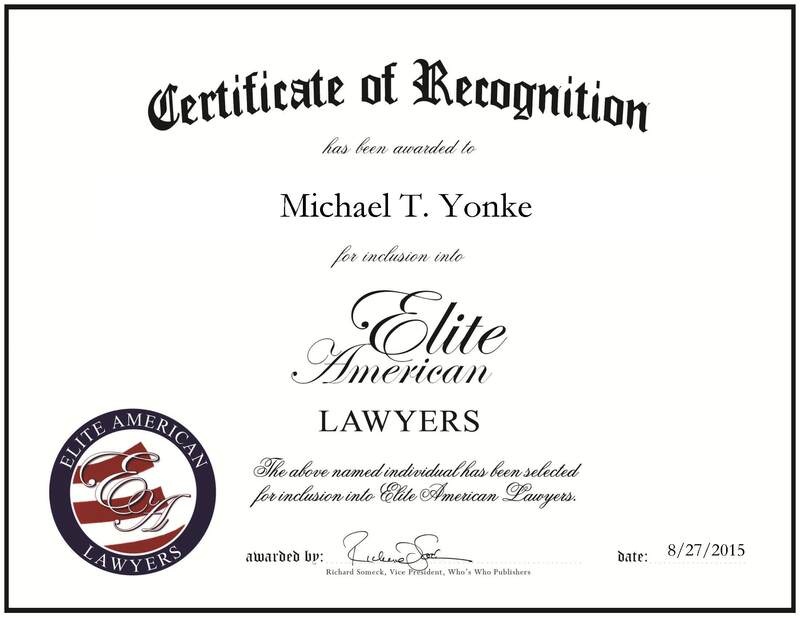 Kansas City, Missouri, August 27, 2015, Michael T. Yonke, Personal Injury Lawyer of Yonke Law LLC, has been recognized by Elite American Lawyers, for dedication, achievement and leadership in injury law. 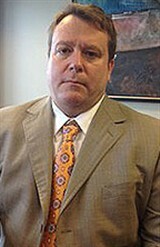 Mr. Yonke has 20 years of professional experience, with 16 years as a personal injury lawyer of Yonke Law LLC. His areas of expertise include Injury law. Each day, he is responsible for managing his firm and overseeing all of the trial work and litigations that this entails. Looking back, Mr. Yonke became involved in his profession because he remembers being in courtrooms at a young age, watching his father aggressively fight for the rights of his clients. He loved it, and realized that this was what he wanted to do when he grew up. Mr. Yonke received a JD from the University of Missouri-Kansas City in 1994, and a bachelor’s degree from the University of Missouri in 1990. He also maintains affiliation with the Multi-Million Dollar Advocates Club. In recognition of his hard work and dedication, Mr. Yonke was named as an AV Preeminent Attorney, a PRR AV Preeminent Attorney, a Top Attorney in Missouri and Kansas and a Super Lawyer. In years to come, Mr. Yonke intends to continue to represent people who are in need regarding medical malpractice issues, products liability and catastrophic injuries. This entry was posted in Litigation, Personal Injury, Trial Law and tagged AV Preeminent Attorney, catastrophic injuries, injury law, medical malpractice, Multi-Million Dollar Advocates Club, products liability, Super Lawyer, Top Attorney in Kansas, Top Attorney in Missouri. Bookmark the permalink.